Can't wait to see the 2nd FMA season. Winry is always cute and beautiful! I love Winry! The umbrella is kinda weird. But I love her hairstyle like that! 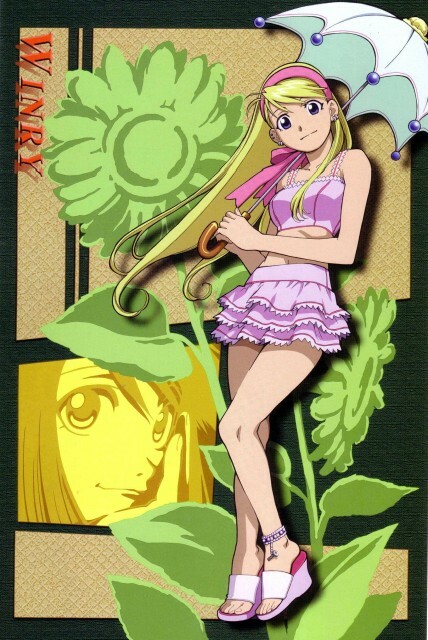 Thank you for sharing this lovely Winry scan. nice reallisttic images, i supose. Whoa she looks kinda different! Thanks for uploading! Fullmetal Alchemist is a great anime. Tanks for sharing.